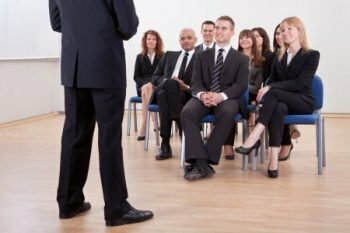 Creating executive presence – how well a person speaks, looks, and acts like a leader – is the big buzz in training circles these days. According to a new study by the Center for Talent Innovation, being perceived as leadership material is essential to being promoted into leadership positions, and executive presence counts for 26% of what it takes to get promoted. But perceptions are often false friends. You can be clear on your intentions and still not be perceived the way you intended because your actions aren’t clear enough and not aligned with what you say. The best way to do this is to get meaningful and honest feedback and then act on it. Unfortunately, this can be easier said than done as many successful leaders just don’t have anyone that they can speak to, in a safe and professional environment, who understands both complex business issues but also has the professional expertise of a coach… and this is too important to leave to chance or misbeliefs. At the risk of sounding self-promoting, this is where having an experienced, trusted mentor or skilled coach is crucial! They use their expertise and experience to help you understand how your actions are perceived by others and give specific, pragmatic tips on what to do about it. What kinds of things are you doing to see yourself and your actions the way others do? How do you keep focused on how to re-invent your leadership behavior? I’d love to hear your thoughts; you can contact me here and on LinkedIn. Rose Cartolari is a Sr. Consultant, Facilitator, and C-Suite Coach with Executive Development Associates, bringing extensive experience in helping leaders create strategic growth for themselves and their organizations. Rose has a broad background in developing and delivering tailored leadership development programs for clients ranging from multinational companies to corporate executives. Having lived and been educated in India, Indonesia, Somalia, the United States, and Italy, Rose is at home in many cultures.